Last summer, the U.S. Environmental Protection Agency conducted an air quality study at Union Station in Chicago. The results showed elevated concentrations of respirable particulate matter (PM2.5) in ambient air on train platforms and nearby streets. PM2.5 is a mixture of liquid droplets and particles measuring 2.5 micrometers in diameter or smaller. PM2.5 particles can be inhaled deep into the lungs where they can enter the bloodstream and cause serious health problems. This risk is even more serious for young people, the elderly and those with respiratory conditions like asthma. The study also revealed elevated levels of carbon monoxide, benzene, formaldehyde, nitrogen oxide and other harmful chemicals present in diesel exhaust. 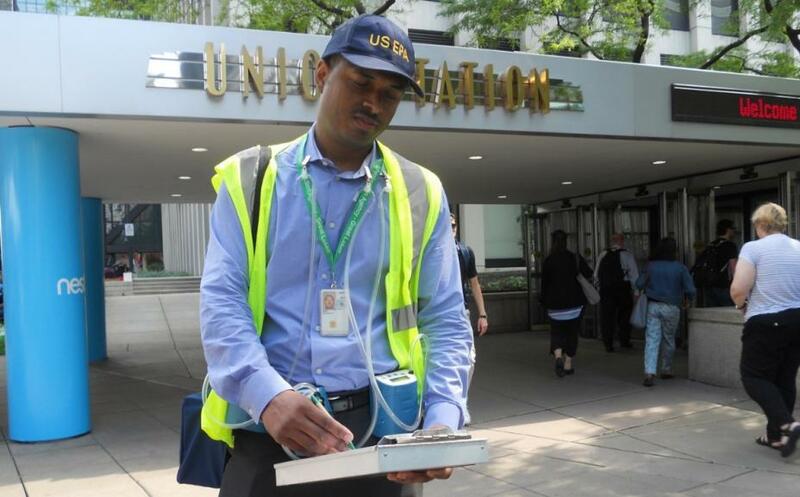 The EPA monitored air quality at Union Station using TSI's SidePak AM510 personal aerosol monitors between the hours of 6 am and 6 pm, taking samples on publicly accessible platforms and at street level locations near the station. The AM510 is a lightweight, belt-mounted laser photometer that works by taking in air samples and running a laser across it. Its easy-to-read display shows both real-time aerosol mass concentration and 8-hour time-weighted average (TWA). PM2.5 particles diffract light in the laser beam. 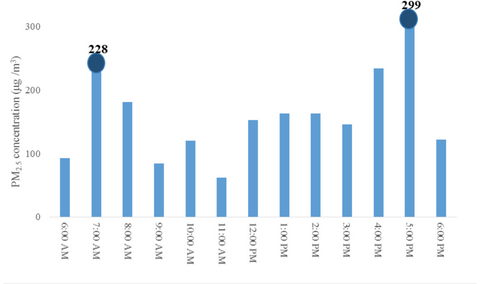 Simply put, the more diffraction, the higher the levels of PM2.5 pollution read by the meter. The results of the three-week survey showed PM2.5 concentrations measured anywhere from 23% to 96% higher on the train platforms than on nearby streets, with the highest concentrations occurring during rush hours. Since the conclusion of the study, Amtrak and Metra have acknowledged that the best solution to their air pollution problem would be changing out diesel-burning engines for cleaner, more efficient ones. However, at this time, they have not begun any plans to implement such a huge project. Instead, smaller-scale solutions are said to have been implemented, such as changing the direction trains enter platforms, making sure trains don't sit idle on the platforms, and maintaining a safe distance between passengers waiting on platforms and the engines producing these particulates. A spokesman for Amtrak has also mentioned a focused effort on updating the ventilation and viaduct systems around Union Station. 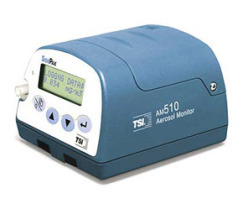 Learn more about the TSI Sidepak AM510 personal aerosol monitor. Read more about the EPA press release.